Nano Energetic Materials Structures include nanothermite mixtures, bi-metallics, multilayered composite films, foils, new carbon-based reactive substances, and structures obtained by compaction of micro or nano particles that enable energetic, thermite reactions... This symposium will highlight “Advanced Energetic Material Technologies and Diagnostics”, including the synthesis of new materials with targeted and enhanced performances, advanced and in-situ experimental techniques, and new theoretical and computational models to simulate the behavior of energetic materials under a wide variety of conditions. This symposium will bring together scientists and engineers interested in fundamental materials science issues that need to be addressed to develop advanced and novel reactive materials systems for next-generation pyrotechnic-based applications and products (e.g., components for traditional gas generating materials or new energetic compounds). Resume : Among nanoenergetic materials, aluminum nanopowders are at the center of numerous works since they remain an additive of choice in many energetic formulations . In all those applications, it is the highly exothermic reaction of aluminum with an oxidant that confers to the powders their reactive and propulsive properties. The underlying idea of replacing micropowders by nanopowder is to take advantage of the enhanced properties that the nanoscale confers to the system. Whatever the scale under consideration, any aluminum particle is covered by a thin alumina layer whose thickness does not vary much with the size of the aluminum core . For low heating rate, the oxidation is controlled by a diffusion mechanism in which this alumina layer plays an important role due to its various polymorphic transitions [3,4]. The enhanced reactivity of aluminum nanopowders is thus linked to the higher division state but also to the microstructural changes. Recently, morphology of the particles and grain nanostructuration of the aluminum core were proposed has pertinent parameters that could allow tuning the material properties . The first part of this communication is devoted to nanopowders synthesis and reactivity. Aluminum nanospheres synthetized by wire-electro-explosion are compared to aluminum nanoflakes obtained using high-energy-mechanical milling. Owing to various characterization techniques such as thermal analyses, transmission electron microscopy and X-ray diffraction, we show that morphology and microstructure directly modulate nanopowders reactivity. The second part is focused on the understanding of oxidation mechanisms at low heating rate. Using ex-situ oxidized powders, a two-step oxidation scenario is proposed . Before the melting, the oxidation occurs, at the metal-oxide interface, through the inward diffusion of oxygen through the alumina shell. Above the melting point of aluminum, outward diffusion of aluminum through the oxide shell is controlling the reaction rate, the reaction interface is then located at the external surface. Finally, some insights on the nucleation process during the crystallization of liquid aluminum are also discussed. Dreizin E. L., Prog. Energy Combust. Sci. 3, pp141-147 (2009)  Rufino B., et al. Acta Mat. 55 (8) pp 2815-2827 (2007). Trunov, M. A. et al. Combustion and Flame, 140, pp310-318 (2005). Rufino B., et al.. Acta Mat.58, pp4224-4232 (2010). André B., et al. Mat. Lett. 110 pp108-110 (2013). Coulet M.-V. et al. J. Phys Chem. 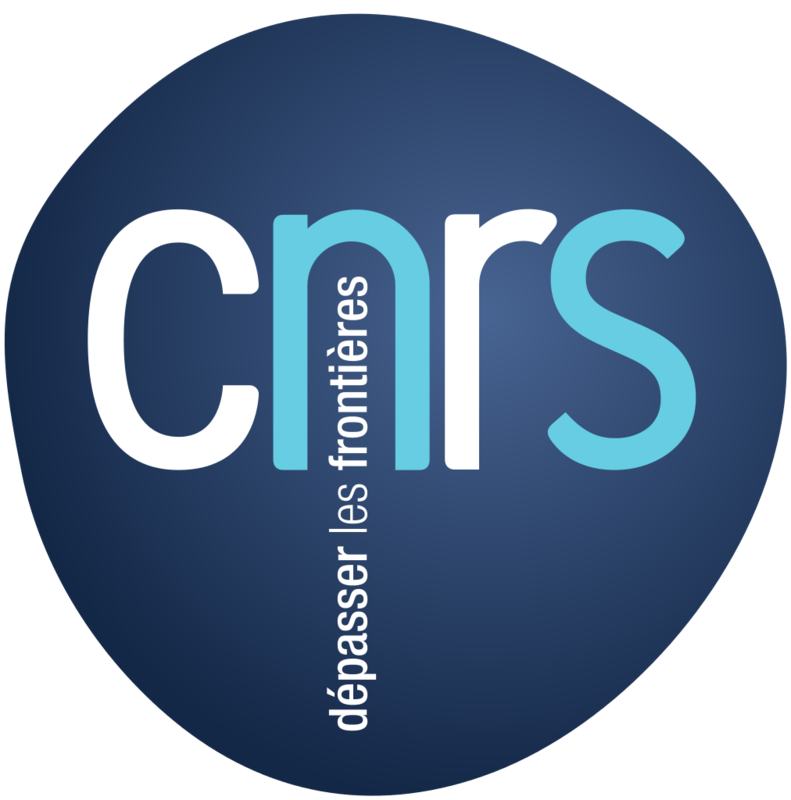 C. (2016) Agence Nationale de la Recherche (ANR) and Direction Générale des Armées (DGA) are acknowledged for financial support (Grant No ANR-13-ASTR-0032). DGA and Aix-Marseille Université are acknowledged for co-funding the PhD Grant of P.-H. Esposito. Resume : As key components to improve energy densities, metal nanoparticle based energetic materials are widely used in many energetic systems, for example, as addictives for propellants and explosives. Metal nanoparticle based energetic materials have fairly large surface areas and are extremely reactive. Proper surface modification improves the safety and stability of these materials and may also enhance their energy releases. By applying atomic layer deposition (ALD) or molecular layer deposition (MLD), surfaces of the metal nanoparticles can be precisely engineered and their surface properties can be effectively tuned at minimum losses of the energy densities. Zr nanopowder is a very promising high energy metal fuel. However, this material is extremely sensitive to electrostatic ignition, which greatly jeopardizes its applications. By applying ALD/MLD surface modification, metallic Zr nanoparticles can be encapsulated by uniform layers of metal oxides, polymers, or carbon. The thicknesses of the encapsulation layers can be precisely controlled. The electrostatic sensitivity of Zr nanoparticles can be tuned in a wide range by varying the type and thickness of the ALD coating, which significantly enhances the safety in handling, storage, and utilization of this high energy material. Metal nanoparticle based thermite materials feature very exothermic solid-state redox reactions. However, reaction rates of traditional thermite mixtures are limited by reactant diffusion velocities. Core-shell structured nanothermite materials can be synthesized by depositing certain types of metal oxides (oxidizers) on Al nanoparticles. The oxidizer layers deposited on the Al nanoparticles are conformal and their thicknesses can be precisely controlled by adjusting the number of ALD cycle. Reaction rates of the core?shell structured nanothermites synthesized by ALD are several times faster than the mixture of nanopowders. The enhanced reaction rate is ascribed to the intimate fuel-oxidizer contact as a result of the exquisite core?shell nanostructure and excellent conformity of the oxidizer shells. Resume : Reactive and energetic materials are typically metastable, and are expected to transform into thermodynamically favorable reaction products with substantial energy release. Some such transformations may involve only initial components; in other cases, an external oxidizer participates in the reaction as well. Preparation of reactive materials mechanochemically or by mechanical milling is challenging: they are easily initiated by impact or friction. At the same time, milling offers a simple, scalable, and controllable technology capable of mixing reactive components on the nano-scale. For preparation of most reactive materials, milling should be interrupted or arrested to preserve the metastable phases. Arrested reactive milling was exploited to prepare many inorganic reactive materials, including nanocomposite thermites, metal-metalloid, and intermetallic systems. Some metal-organic composites were also synthesized. Prepared materials are fully dense composites with unique properties, combining high density with extremely high reactivity. Types of the prepared materials will be briefly reviewed and the unique reaction mechanisms for some of the mechanochemically prepared composites will be discussed. In particular, processes governing ignition of fully-dense nanocomposite thermites will be considered. Recent results will also be presented suggesting that in some cases, nanocomposite reactive materials retain the memory of their nano-structure even after ignition and during combustion. Resume : The technique of the preliminary mechanochemical activation is one of the ways to increase the reactivity of energetic materials. During the mechanical treatment of powders in ball mill the particles are crushed to submicron sizes and mixed, and process accompanied by the formation of defects in the crystal structure of the materials. As result we can obtain the oxidizer-fuel mixtures with increased velocities of combustion and detonation. In this report, there are presented new experimental data on detonation of mechanoactivated mixtures of ammonium perchlorate (AP) with nanoscale aluminum (nAl ~100 nm). The dependences of detonation velocity on the activation time, density and diameter of charges (d) were obtained. The results showed that, the detonation ability of formulations can be substantially enhanced in comparison with conventional mechanical mixtures containing micron sized aluminum. The activation and nanosized Al sharing has allowed to lower critical diameter (< 10 mm) and to displace a maximum of detonation velocity in area of high density charges (from 1.46 to 1.9 g/cc with d = 25 mm). The maximum detonation velocity = 6410 m/s of the composition with nanosized aluminum was obtained with a relative density of 0.91 and d= 40 mm. The dependence of detonation velocity on charge diameter has a plot with constant values for diameters ranged from 17 to 40 mm, which confirms the existence of the so-called "pseudo-ideal" detonation mode for AP + nAl compositions. Resume : Superfluid Helium Droplet Assembly (SHeDA) is a method by which it is possible to create stable nanoclusters and soft-deposit them onto a substrate. With this technique, helium droplets pass through a vapor cloud of nearly any material heated in an effusion oven. The atoms that collide with the helium condense into clusters at the center of the droplet. It is our goal to use SHeDA to fabricate reactive core-shell nanoclusters by first passing the helium droplets through Al vapor to form a metallic core, followed by a vapor of perfluoropolyether (PFPE) that forms an external shell. This combination of materials is highly energetic due to the high oxygen and fluorine content in PFPE. The droplets maintain a temperature of 0.4 K which freezes out potential reactions between components and encourages the formation of a metastable un-mixed state. The PFPE exterior may also provide passivation against the atmospheric conditions post-fabrication. The stability of the resulting clusters are tested using Temperature Programmed Reactions (TPR) and viewed using Transmission Electron Microscopy (TEM). TPR is performed on nanoscale and microscale mixtures of vapor-deposited layers and physically mixed particles of the same compositions for comparison. Resume : Metastable intermolecular composites (MICs) have attracted considerable interests duo to their high energy density, fast reaction propagation dynamics, and the important applications in functional nanoenergitic-on-chip for microscale energy-demanding systems, such as micro-actuation, micro-ignition, micro-propulsion, micro-fluidics, and micro-explosion devices. However, the fundamental understanding in the reaction propagation of MICs at microscale is still kept unknown well. For example, there are really few studies have been proposed on the accelerating processes, which is actually important for micro-energetic applications. And significantly, the propagation decreasing by orders of magnitude at micro scale films is not well explained or understood. And how to improve the form of output energy from combustion or deflagration to detonation is also a great problem to be solved. In recent years, our group focused on the reaction propagation of MICs at microscale. We proposed a method to investigate the heat transfer in accelerating process of MICs via nano Ag particles additions and changing of the heat conduct. And a ball cell model about the effect of pressure loss on the reaction velocities and output efficiency at microscale was also proposed the essentially reason of the propagation decreasing, then an effective compensation method for pressure lose to improve the reaction velocity and output significantly by high explosives addition into MICs was suggested and shown in the microscale combustion measurement. Finally, we proposed a strategy to realize fast deflagration to detonation transition (DDT) by fabricating quasi-core/shell structured materials composed by MICs and high explosives based on the structure of reaction zone, the fast deflagration of MIC, and the enhancement on the ignition of explosives, thus detonation wave can be achieved in such a safe, green, and free from heavy metals way via MICs. Resume : Reactive nanolaminates are unique materials systems in which stimulated interdiffusion of the metallic layers releases heat and induces a self-propagating reaction that rapidly alters the phase and microstructures. There are many applications for these materials such as energy storage, material joining, controlled fuses, etc., and these systems offer the ability to study far-from-equilibrium material dynamics. Due to the resolution limitations of conventional analytical techniques, it is difficult to study the phase evolution and microstructural changes in the sub-micron regions of the propagating reaction front that occur on nanosecond timescales. To increase the temporal resolution of analytical and in-situ microscopy techniques, we developed the Movie Mode dynamic transmission electron microscope (MM-DTEM) which captures a cinematic series of images or diffraction patterns of a fast-evolving material process on the nanosecond timescale. With MM-DTEM, reaction dynamics in Ti-B and Co-Al based reactive nanolaminates were studied. By tracking the position of the reaction front with the multiple image acquisition of MM-DTEM, the front velocities as a function of composition, bilayer content and thickness were precisely measured. We have quantified the phase evolution behind the reaction front through a sequence of diffraction patterns, allowing us to determine the evolution and rapid kinetics of the exothermic reactions. This presentation will discuss new insights gained about the dynamics of reactive nanolaminates using MM-DTEM capability. Resume : Laser ignition of energetic materials has been considered as potential replacement of low energy electro-explosive devices which pose a safety hazard. Here, we seek to understand the exothermic reactions and laser initiation threshold of multilayer films. Al/Ni multilayer films were prepared by DC magnetron sputtering. The total thickness of Al/Ni multilayer films were approximately 2?m with bilayer thickness of 100,150 and 200nm. Each bilayer consisted of an aluminum layer and a nickel layer in a 3:2 thickness ratio to maintain an overall 1:1 atomic composition. DSC curves show that the characterized temperature of exothermic peaks and the total heat of reaction increased with increasing bilayer thickness. XRD measurement shows that the final product of exothermic reaction is the compound of AlNi. Meanwhile, all films for laser ignition studies were roughly 2?m and 3?m in total thickness with different bilayer thickness. The 50 percent firing energy density was tested by Bruccton up and down method. Results show that the values of 50 percent firing energy density of Al/Ni multilayer films with bilayer thicknesses of 150nm(2?m), 200nm(2?m), 150nm(3?m) and 200nm(3?m) are 13.84,14.68,7.69 and 10.84mJ·mm-2, respectively. Therefore, the smaller bilayer thickness and the larger total thickness can effectively reduce laser initiation threshold of multilayer films. Resume : Laser irradiation of sputter deposited Al/Pt nano-laminates with thicknesses of 328 nm, 164 nm and 65 nm results in rapid, self-propagating reactions. The laser induced ignition of these freestanding foils was characterized over eleven decades (10 ms to 150 fs) of pulse duration. For laser ignition with milli- and microsecond pulses, the go/no go threshold is spot size dependent, decreases with shorter pulse duration, and is equivalent to the laser intensity at which the heating time required for ignition equals the pulse duration. The heating time required for ignition at a given laser intensity was determined experimentally with high-speed videography and calculated with finite element simulations. A breakdown of this joule heating based mechanism for ignition occurs when the pulse duration is reduced below the nanosecond regime. For 150 fs pulses, the go/no go threshold is higher than that for 6 ns pulses, becomes spot size invariant, and occurs under ablative conditions. A model for this ultrafast laser induced ignition will be discussed. Sandia National Laboratories is a multi-program laboratory managed and operated by Sandia Corporation, a wholly owned subsidiary of Lockheed Martin Corporation, for the US Department of Energy?s National Nuclear Security Administration under contract DE-AC04-94AL85000. Resume : Identification of intermediate reactions in reactive nickel aluminum multilayer foils is challenging due to the rapid thermal front velocities up to 13 m/s and very thin reaction zones estimated to be on the order of 5-20 micrometers. We present a novel method to quench reactions at rates beyond 10^8 K/s, which are comparable to the self-heating rates in these foils. A thin aluminum wire is used to produce a microscale spark-heated spot on the surface of the foil with an energy below the self-propagation threshold. Upon the application of the spark that lasts approximately 50 ns, the reactions that are initiated are rapidly quenched due to the conductive heat losses to the rest of the foil and stop the conversion of intermediate species. SEM micrographs and TEM analysis using selected area diffraction show a transition zone of 3 micrometers, where amorphous Al solid solution, NiAl3, Ni2Al3 and NiAl are sequentially formed at bilayer interfaces. The reactions appear to propagate faster along smoother bilayers compared to the kinked sections that form during the sputtering process, forming a fingered reaction front in the thickness direction starting from the ignited spot. Resume : Vapor deposited thermite multilayers provide a unique opportunity to control thermite composition and microstructure to tune the reactive properties of reactive foils. Inert layers can be systematically added to the thermite structure to serve multiple purposes such as increasing the quantity of metal in the product and minimizing gas production, both of which can be beneficial for brazing applications. In this study we examine a quad layer structure of Al-Cu-Cu2O-Cu made by magnetron sputtering. Cu layers, of varying thickness, were systematically added between the fuel and oxide to reduce the reaction temperature and thereby suppress Cu vapor production in the propagating reactions. Fabrication of the quad layer structure, characterization of the propagating reactions, and mechanisms of the metal gas suppression will be discussed. Resume : To date, self-propagating reactions in PVD multilayers have been extensively studied regarding their underlying mechanisms and applications. Adjusting the reaction behavior to meet the demands of an application requires a fundamental understanding of the mechanisms and transformations on the micro- and nanoscale. Interfacial reactions are found to play a key role in determining reaction parameters such as front propagation, heat release over time and ignition behavior. The majority of studies use binary samples consisting of elemental or alloyed layers where the bilayer thickness is the main design parameter while the material combination at the interface remains unchanged. By introducing a third kind of layers, the stacking sequence becomes an additional design parameter allowing us to define type and density of the interfaces. In this study, we designed ternary reactive multilayers based on Ru/Al by partially substituting either Ru or Al for selected elements which allows us to retain the B2-structure of the product phase. The system Ru/Al shows a heat of formation and propagation velocity comparable to that of Ni/Al, however, its temperature of reaction and ignition are higher. We present experimental results on how the choice of ternary additions and stacking sequence affects the properties of the self-propagating reaction and how this relates to the nature and density of interfaces. Resume : Many materials are created or used far from thermodynamic equilibrium. Knowledge about the kinetics of chemical reactions or phase transitions on the relevant short time scales is therefore required. Calorimetry is a powerful tool in this respect and it takes a special place among other methods. In addition to its simplicity and universality, the energy characteristics (heat capacity Cp and its integral over temperature - enthalpy H), measured via calorimetry, have a clear physical meaning even though sometimes interpretation may be difficult. Fast scanning calorimetry allows for in situ investigation of any kind of reaction with a reaction enthalpy. Chemical reactions as well as phase transitions on heating and cooling are accessible. In the presentation, we will discuss structure formation on a millisecond time scale, which is of interest not only for energetic materials but in a wide range of materials like polymers, metals, and pharmaceuticals to name a few. Freestanding silicon nitride membranes are commonly used as low addenda heat capacity fast scanning calorimetric sensors. The gauges consist of a film-thermopile and a film-heater, which are both, located in the central part of the membrane. At non-adiabatic conditions controlled fast cooling up to 10E7 K/s is possible as well as fast heating at the same high rates. In addition to fast linear scanning, the calorimeters allow also high frequency AC calorimetric investigations of nanometer thin films. Schick, C. and V. Mathot, Fast Scanning Calorimetry, Springer 2016. Resume : Among energetic materials, and specifically thermite materials, nanolaminates have demonstrated promising capability to adjust thermal properties thanks to the controlled alternation (thickness and composition) of thin layers of fuels and oxidizers respectively. It is a common belief that scaling down materials to the nano makes interfaces play a crucial or even dominant role regarding at their overall properties. Despite this fact, still major difficulties remain to be solved to understand the exact role of interfaces, or barrier layers, between reactive materials. In this frame, our proposed work concerns Al/CuO thermites which have been intensively explored because of their high formation enthalpy, their low cost and technological compatibility with MEMS fabrication techniques. We will discuss issues in providing controlled interfaces by combining materials and deposition techniques such as Atomic Layer Deposition to deposit ultrathin oxide layers. ALD is used to provide and characterized model alumina barrier layers. In a second stage, we explore the impact of alumina free interfaces on thermal properties (onset temperatures, energy densities, flame velocities). Two interfaces are explored, (1) a PVD copper interfacial layer and (2) an ALD zinc oxide ultrathin layer, separating Al from CuO both preventing the formation of interfacial alumina at room temperature. Physico-chemical as well as thermal properties will be discussed. Resume : Nanocalorimetry is a small-scale thermal analysis technique capable of achieving very high heating rates. To date, its application to reactive materials has been motivated mainly by its ability to perform measurements at heating rates that are closer to those observed in applications than is possible with conventional calorimetry. However, nanocalorimetry is also capable of varying the heating rate over a fairly wide range as is needed for quantitative kinetic analysis. Here, we present the results of nanocalorimetry experiments on the Al/Ni interfacial reaction that span two decades in heating rate (1000 K/s to 100,000 K/s). This is a large, information-rich dataset that is well suited to a variety of kinetic analysis techniques. In particular, we have used isoconversional analysis and model fitting to identify multiple stages in the formation of the first phase, Al3Ni, along with their corresponding reaction mechanisms and kinetic constants. In addition, we have identified features in the kinetic curves that provide some of the first direct evidence for the suppression/delay of product nucleation due to steep concentration gradients. This is important experimental support for a theory that has often been cited to explain why intermediate product phases are not observed in self-propagating Al/Ni reactions. Together, these results provide valuable insight into the interplay between thermodynamics and kinetics in determining the progression of reactions at interfaces. Resume : Despite our knowledge of the existence of the violent thermite reaction for over 100 years it is still not yet understood how the properties of a metal oxide oxidizer relate to and influence the ignition temperature. To address this shortcoming we prepared a series of perovskite based oxidizers which enable a systematic investigation of how materials properties of the oxidizer relate to the ignition temperature. In this paper, nine lanthanum based perovskites with different Sr2+ doping of the A-site, and different B-site transition metals were synthesized. The perovskite O2 release and ignition temperatures with aluminum were measured by fast heating (> 105 K/s) temperature-jump/time-of-flight mass spectrometry coupled with high-speed imaging. Similar studies have also been conducted on doped- bismuth oxides. These results were then correlated with the average bond energy and overall metal-oxygen electronegativity difference. Remarkably we found a linear relationship between average bond energy and electronegativity with ignition temperature. To our knowledge this is the first demonstration of the connection between metal?oxygen bond energy, electronegativity and ignition temperature. Resume : Novel combinations of metal fuels and iodine oxides are being developed to produce rapid bursts of heat and gaseous iodine in order to defeat bio-agents such as Anthrax. While metal fuels are often used in munitions and propellants to increase power and burn rates, optimizing both their ignition thresholds and their combustion efficiency can be challenging. For example, when powder diameters are reduced to the nanometer scale to increase combustion efficiency, ignition thresholds can drop dramatically decreasing our ability to handle the powders safely. Here we describe nanostructured composite metal powders for which ignition energies and combustion efficiency can be tuned independently. The particles contain two reactants: elemental Al and Zr or an Al-Mg alloy and elemental Zr. Upon ignition the reactants mix and form intermetallic compounds, rising to temperatures above 1200oC. Once hot the intermetallic particles combust by reacting with both nitrogen and oxygen. Thresholds for ignition are controlled by changing the average spacing of the reactants within the particles, and combustion efficiency is tuned by varying the diameter and chemistry of the particles. This presentation describes the fabrication, ignition and combustion of these particles as they react in a variety of atmospheres and with iodine oxide particles. Resume : Chemical Dynamics of nano-Aluminum and Iodine Based Oxidizers B. K. Little,1 C. J. Ridge,1 K. R. Overdeep2, D. T. Slizewski2 and C. M. Lindsay2 1. University of Dayton Research Institute, Energetic Materials Branch, Eglin Air Force Base, FL 32542 2. AFRL/RWME, Energetic Materials Branch, Ordnance Division, Eglin Air Force Base, FL 32542 As observed in previous studies of nanoenergetic powder composites, micro/nano-structural features such as particle morphology and/or reactant spatial distance are expected to strongly influence properties that govern the combustion behavior of energetic materials (EM). In this study, highly reactive composites containing crystalline iodine (V) oxide or iodate salts with nano-sized aluminum (nAl) were blended by two different processing techniques and then collected as a powder for characterization. Physiochemical techniques such as thermal gravimetric analysis, calorimetry, X-ray diffraction, electron microscopy, high speed photography, pressure profile analysis, temperature programmed reactions, and spectroscopy were employed to characterize these EM with emphasis on correlating the chemical reactivity with inherent structural features and variations in stoichiometry. This work is a continuation of efforts to probe the chemical dynamics of nAl-iodine based composites. Resume : An aluminum(Al) based explosive mixture(flame speeds as high as 3200m/s), composed primarily of aluminum iodate hexahydrate (AIH) ([Al(H2O)6](IO3)3(HIO3)2) crystals, has been synthesized from aluminum particles dissolved in iodic acid solution. The synthesis method for the formation of AIH mixtures begins by initially dissolving iodine oxides in water. When iodine oxides are mixed in water, an IO3- solution, with pH < 1.0, is created. Aluminum nanoparticles are then added to the IO3- solution and a pH dependent reaction occurs that results in aqueous Al in solution. Solid mixtures of AIH, Al, ?-HIO3, and other iodic crystals precipitate from the IO3- and Al solution, as confirmed by X-ray diffraction (XRD) analysis. Reactivity of these mixtures is dependent on oxygen balance, density, and concentration of ?-HIO3. ?-HIO3 was seen previously in a single study, performed in 1960, and has not been recreated since this publication. This phase was thought to be an artifact from outdated measurement techniques and whose existence has been questioned by modern science. ?-HIO3 is normally meta stable, but is stable in AIH mixtures and reactivity increases as concentration of ?-HIO3 increases. All variables that affect reactivity are directly related to initial mixing conditions and are not yet fully understood. Greater reactivity(>3200m/s) is expected when these parameters are understood and an optimized initial mixing procedure is found. Resume : A safe, effective and precise micro-charging deposition is a key technology for fabricating smart weapon systems. Printable energetic inks present a possible solution by direct writing deposition. The nano-explosive inks based on nano-CL-20 particles and polymers have been developed, where the use of nano-CL-20 particles improved the burning speed and the detonation performances. The results show that those inks exhibited optimal flow behavior through fine deposition nozzles when the solid loading of the inks is in the scope of 70~90 wt% and the particle size of nano-CL-20 is about 200 nm. The 3D explosive structures were assembled by the printed CL-20 rods via the ink direct writing technology. The width of CL-20 rods was less than 200 ?m and the rods hadn?t cracks, porosity or voids. Moreover, the burning rate of the CL-20 micro-rods can be controlled by changing the size of the ink or adding an ink dispersant. The burning rate can change from 22.6 mm/s to 65.5 mm/s for ?0.4 mm and ?1 mm, respectively. The printed sample showed lower impact sensitivities and steady detonation under?0.4 mm. It can be concluded that the printing method is feasible in creating a 3D explosive structures which possesses a constant burning rate and steady detonation at the small-scale for smart weapon systems. Resume : The microstructures of energetic materials strongly influence the combustive and explosive behaviors of the formulations. For example, crystal morphology, particle size distribution, internal and external defects play vital roles in the combustion and booster performance. The design and construction of a specific microstructure of energetic materials is a practical way to obtain explosive with both security and high energy. In this work, a facile and simple chemical template method named supramolecular assembly and disassembly was used to prepare 3D hierarchical HMX crystalline cluster. N,N-dimethylformamide (DMF) was used as the guest molecule for guidance in the assembly process. The 3D hierarchical HMX crystalline cluster possesses multiple particle size distributions and pore size distributions, which results in significantly different safety performance compared to raw HMX. Furthermore, the formation mechanism of this unique structure was proposed based on the experimental results. This work provides a convenient method to manipulate microstructure of energetic materials and develop the hierarchical structure of other functional materials. Resume : Plastic bonded explosives (PBX) are usually disused by the damage development and cracking generation, which are result from a lot of crystal defects distributed from nano-scale to several millimeters. Nano-scale crystal defects are microscopic origination of the damage development and cracking of PBX. However, the structure of nano-scale defects is still unclear. Nano-scale defects in RDX single crystals are characterized by quasi-3D small angle X-ray scatting (SAXS), which means 2D SAXS cooperated with rotating the sample stage. It can be concluded that all the nano-scale defects in RDX single crystal are parallel plate-like with average diameter of 66.4 nm. The X-ray diffraction (XRD) measurements show all the plate-like nano-scale defects distribute along the (001) crystal plane. The crystal surface binding energies of RDX calculated by the Forcite module in the Material Studio shows that the (001) crystal plane is of the lowest binding energy, so the RDX crystals are easily to crack along the (001) crystal plane. Similarly, plate-like defects in HMX arrange along the (011) crystal plane, which is just the face with the least binding energy. It can be speculated that most of the explosive crystals are easily to crack along the plane with the least binging energy. Resume : Al/Pt nanolaminates with bilayer thickness (tb, width of an Al/Pt pair-layer) of 164 nm were irradiated with single laser pulses with durations of 10 ms and 0.5 ms at 189 W/cm2 and 1189 W/cm2, respectively. The experimental time to ignition was measured for each pulse, and shorter ignition times were observed for the higher intensity, shorter pulse width. Videographic images of the irradiated area after ignition show a non-uniform radial brightness for the longer pulse that starts at the center of the irradiated region and extends to a finite distance, while the shorter pulse shows uniform brightness. A diffusion-limited single step reaction mechanism was implemented in a finite element package to model the progress from reactants to products, and the effect of increasing product layer thickness. The model captures well both the observed ignition delay and the extent of the non-uniform brightness, as well as qualitative observations of the reactive wave velocity. Authors : Vincent Baijot, Mehdi Djafari Rouhani, Carole Rossi, Alain Estève. Resume : Mixtures of aluminum and metal-oxide nanopowders (nanothermites) represent a large class of energetic substances exhibiting low to moderate pressure generation and high adiabatic temperatures. A common goal of research in nanothermites is to control and tune energy release and possibly gas production. With the downscaling of materials to the nanoscale, intensive research effort has been engaged to investigate the influence of materials physical properties as well as environmental conditions on reaction performances. To accompany this effort, we developed a predictive modelling tool to simulate Al/CuO thermite combustion. Our model is based on a bottom-up multi-scale micro-kinetic methodology in which the initiation/combustion is driven by a series of elementary mechanisms: migration of Al across the alumina shell of Al particles, surface reactions (decomposition, oxidation), and intermolecular reactions within the gas phase, calibrated from ab initio calculations. We discuss the kinetics of initiation/combustion, gas production and end-product morphology as a function of initial particle size, alumina shell thickness, aluminum to oxidizer ratio and compaction. A maximum pressure of 58 MPa and adiabatic temperature of 3546 K are obtained at 50 % Theoretical Maximum Density for stoichiometric mixture, where AlO is shown to be the prevailing gaseous species. Further results are commented at the light of experimental available measurements. Resume : Density functional theory (DFT) calculations were performed to examine exothermic surface chemistry between alumina and four fluorinated, fragmented molecules representing species from decomposing fluoropolymers. The simulations were performed for alumina surfaces that were treated with a polar liquid and compared to an untreated surface. The analysis has strong implications for the reactivity of aluminum (Al) particles passivated by an alumina shell. It was hypothesized that the alumina lattice structure could be transformed due to hydrogen bonding forces exerted by the environment that affect surface reactions with fluorinated species. In this study, the alumina surface was analyzed using model clusters as isolated systems embedded in a polar environment (i.e., acetone). The conductor-like screening model (COSMO) was used to mimic environmental effects on the alumina surface. Four defect models for specific active ?OH sites were investigated including two terminal hydroxyl bonds and two hydroxyl bridge bonds. Results show a clear indication of surface reactions that promote exothermic energy. Generally, terminal bonds produce more energy upon reaction than bridge bonds and surface reactions with CF4, HF, and CH3F are most exothermic, respectively. Surface treatment in a polar processing liquid was found to influence reaction energy positively for octahedral coordinated terminal bonds but negatively for tetrahedral coordinated terminal bonds. Additional experiments were performed on aluminum powders using thermal equilibrium analysis techniques that complement the simulation results. Resume : Anisotropic frictional response and corresponding heat dissipation from different crystallographic planes of RDX crystal is studied using molecular dynamics simulations. The effect of frictional force on the nature of damage and system temperature is monitored along different directions on primary slip plane, (010), of RDX and on non-slip planes, (100) and (001). The correlation between the friction coefficient, deformation and the frictional heating in these system is determined. It is observed that friction coefficients on slip planes are smaller than those of non-slip planes. In response to friction on slip plane, RDX crystal deforms via dislocation formation and shows less heating. On non-slip planes due to the inability of the system to deform by dislocation formation, large temperature rise is observed in the system just below the contact area of two surfaces. Frictional sliding on non-slip planes also lead to the formation of damage zone just below the contact area of two surfaces due to the change in RDX ring conformation from chair to boat/half-boat. Resume : Charge injection at metal/organic interface is a critical issue for organic electronic devices in general as poor charge injection would cause high contact resistance and severely limit the performance of organic devices. A new approach by adding an ultrathin oxide interlayer at the metal/organic contact interface via atomic layer deposition (ALD) to greatly reduce the contact resistance in organic field-effect transistors (OFETs) will be presented in this talk. ALD offers excellent controllability of the film properties, including very good film uniformity and conformality, and also the film thickness can be precisely controlled by digitally varying the ALD cycle number. However, for the aforementioned applications, cautions should be taken for ALD, since organic materials are generally delicate. For instance, the ALD process temperature should be low, and the reagents should be non-oxidizing. As a demonstration, we prepare VOx interlayer by a newly-developed low-temperature ALD process at 50 °C, and the prepared ALD VOx interlayer is able to remarkably improve the contact resistance and enhance the OFET device performance (Adv. Funct. Mater. 2016, 26, 4456). To further understand the role of the ALD interlayer, an in-situ investigation by X-ray photoelectron spectroscopy (XPS) and ultraviolet photoelectron spectroscopy (UPS) is employed to monitor the ALD growth and trace the evolutions of the work function, pentacene HOMO level, and VOx defect states during the growth. The initial VOx growth is found to be partially delayed on pentacene in first ~20 ALD cycles, and the deposited VOx is found to contain a high density of defect states, of which the energy level is in good alignment with the HOMO level of pentacene (ACS Appl. Mater. Interfaces 2017, DOI: 10.1021/acsami.6b12832). This good alignment indicates that the oxide defect states can provide an efficient hole injection pathway at the contact interface and therefore reduce the contact resistance. Latest progress on various other ALD oxides will also be presented in this talk. Resume : The meso-scale structural change of energetic molecular crystals to shock is of significance on the mechanical and detonation properties of energetic materials. In our study, a typical explosive crystal ?-RDX under the planet shock loading was investigated using coarse-grained molecular dynamics (CG-MD) simulations at nano-scale. In the simulations, each RDX molecule was mapped to one coarse-grained bead, and the CG potential between the beads were based on the Limited-Sample Coarse-Grained (LSCG) strategy proposed in our recent work (J. Phys. Chem. C 2016, 120, 15198). The mechanical response of both perfect and defected ?-RDX crystals to shock were investigated. As for perfect model, a work-piece model with 240 600 RDX beads (19.419 nm *64.73 nm*12.946 nm) was constructed and relaxed under an NPT (with constant particle Number, Pressure and Temperature) ensemble at 300 K and 1 atm. Then, the last crystalline unit layer was fixed and defined as low, the remained 237 600 beads were defined as mobile, and periodic boundary conditions were applied along x and z directions. 5 units above the work-piece a planet model with 27 000 beads (19.419 nm*7.1203 nm*12.946 nm) were constructed and set as rigid. As for the defected model, voids were given inside the work-piece model. During the CG-MD process of the perfect and defected models, an initial velocity was given to planet model in y-direction while the work-piece model was under an NVE (with constant particle Number, Volume and Energy) ensemble, the whole simulation lasts 100 000 steps with timestep of 1 fs. All the MD simulations were carried out in LAMMPS (Large-scale Atomic/Molecular Massively Parallel Simulator) code. The results of the CG-MD simulations were used to analyze the temperature field, pressure field, pore evaluation and shock front. The effects of planet velocity, void size and depth on the structural change were compared and discussed. The evaluation of pressure field and temperature filed of perfect RDX under shock are obtained and it can be seen that the planet shock loading can obviously change the meso-structure of RDX crystal, and the temperature field change with the pressure field; plastic deformation and dislocation occur as the shock wave pass; the void can obviously intensify the structural change, i.e., high temperature, stress, deformation and dislocation appear around the void under shock, leading to the forming of hot spots. The properties of the shock front were also studied using our own codes, the stress distribution of RDX beads along shock direction can be analyzed, and we can find the position of shock front according to the derivative of the stress-y curve; we can also obtain the shock front stress proceeds as a function of timestep and the stress is weakened gradually. The above shows that shock loading can significantly make the structural change of RDX crystal which may leading to the detonation, and the control of voids inside the crystal is of importance on the safety of the energetic materials. Resume : Deposition of Al on ZnO is used for a number of electronic and catalytic devices as well as for nano-energetic materials. The interface structure and chemical composition often controls the performance of devices. In this study, in situ infrared spectroscopy, X-ray photoemission spectroscopy and low energy ion scattering are combined to investigate the initial stage of interface formation between Al and ZnO. We find that a) the interface is highly inhomogeneous with discontinuous Al patches, leaving ~15% of the ZnO surface uncovered even after deposition of an equivalent of 10nm-thick Al film; b) upon Al deposition, Al reduces ZnO by forming Al2O3 and releasing Zn to the surface, and this process continues as more Al is deposited; c) the reduced surface Zn atoms readily desorb at 150oC; and d) at higher temperature (> 600oC) all Al is oxidized as a result of mass transport. Deposition of a thin Al2O3 layer on ZnO prior to Al deposition effectively prevents Al penetration and Zn release, requiring higher temperatures to oxidize Al. Resume : Nano-Fe2O3 particles are one of the most effective additives to improve thermal decomposition of ammonium perchlorate (AP). Addition of nano-Fe2O3 is known to remarkably lower the decomposition temperature of AP and to increase heat release. However, nano-Fe2O3 particles are prone to aggregate because of their high surface area, which impairs dispersibility. In the present work, the nano-Fe2O3/Al/AP composites, which are a kind of ternary thermites considered as a competitive candidate in the field of micro-propellants, were successfully prepared by drowning-out/agglomeration (D/A) process. Through analyzing TG curves of the nano-Fe2O3/Al/AP and Al/AP composites, thermal decomposition of AP was characterized. As a result, it was found that the incorporation of nano-Fe2O3 particles into the Al/AP composites reduces the activation energy of AP at the first decomposition, which leads to lowering the onset temperature, and the second decomposition of AP was terminated at much lower temperature. Resume : Electro-pyrotechnic initiators are widely used in many applications including micropropulsion, drug injection, Safe Arming and Firing for missiles, munitions and airbag inflation ? The challenges associated with these initiators are to ensure a low and reliable firing energy, fast and reproducible responses while being robust and easy in fabrication. This study presents the fabrication of electro-pyrotechnic initiators made of a thin metallic resistor evaporated on glass or polymeric substrate. The ignition of Al/CuO multilayered material deposited on the thin resistor is studied experimentally to explore the effects of the heating surface area, layering and substrate on the ignition characteristics. We show that the heating surface area must be properly calibrated to optimize the nanothermite ignition performances. We observe a dependence of the nanothermite ignition response on the micro heater surface area and substrate. For example, ignition time decreases from 474 µs to 59 µs when the heating surface area is divided by 4. Moreover, bilayer spacing influences both the ignition behavior. This work not only provides a set of on chip initiator design rules to obtain the best ignition conditions and reaction performances but also details a reliable and robust MEMS (MicroElectroMechanical Systems) process to fabricate igniters and brings new understanding of phenomena governing the ignition process of Al/CuO multilayers. Resume : In the ITER thermonuclear fusion reactor (www.iter.org), the lower part of the chamber, called the divertor, will be subjected to high temperatures and to the most intense fluxes of particles. For that reason, the material considered for its fabrication is tungsten. Indeed, its thermomechanical properties and a low plasma-induced sputtering yield will ensure reduced erosion on the tokamak inner wall during plasma operation. The use of tungsten, however, has a few drawbacks, including its high brittle-to-ductile-transition-temperature (BDTT) which might generate cracks within the tiles during machining, and a poor oxidation resistance. In order to improve these properties, specific alloy design has to be developed, using alloying elements that might reduce the grain growth during sintering (as low grain sized bulk materials seems to have a lower BDTT) and improve oxidation resistance. To this aim it appears that homogeneous WxVyCrz materials are good candidates. The LSPM has a long experience in developing such refractory alloys. The first results obtained with different type of alloys will be presented. First, nanometric grains are synthesized using self-propagating high-temperature synthesis yielding a high purity, homogeneous alloy. Then, sintered samples using SPS (Spark Plasma Sintering) at temperatures lower than 2000°C, with a complete densification are obtained. As an example, the X-ray diffraction pattern of one of the targeted alloys (W98V2) is attached to this document, presenting the diffraction peaks of a single BCC phase (where the diffracting planes Miller indices are indicated in parenthesis). Other examples will be presented at the conference concerning powders and bulk materials including other compositions. Preliminary results of mechanical properties of such alloys will also be presented. Affiliations : Energetics Research Institute, Nanyang Technological University, Singapore. Brodarski institut & Marine Research & Special Technologies, Zagreb, Croatia. Energetics Research Institute, Nanyang Technological University, Singapore. Energetics Research Institute, Nanyang Technological University, Singapore. Resume : Various efforts have been taken in the past decades to improve the combustive performance of thermitic reactions. This work reports on the modeling of the ignition and combustion process of Fe2O3/Al nanothermite HTPB composites which are formulated via a novel self-assembly technique wherein the nano-metal oxide and nano-aluminum particles are surface modified with organosilanes chemically assembled, dispersed and cured in HTPB binder system. A two-pronged numerical modeling strategy is adopted to model the combustion of the nanothemite composites. Two codes are developed towards this effort: (1) A code (ENANO) based on thermochemical equilibrium to calculate combustion products of a thermitic reaction and thermodynamic properties of the products; and (2) A 1D code (ECOMB) based on the finite difference method to calculate the ignition delay and burn rate of the nanothermites with and without the presence of a binder. The effect of various parameters on burn rate such as particle size, amount of binder, phase transition, reaction kinetics, porosity and density will be analyzed in this paper. Burning mechanisms and factors which contribute to conductive and convective burning will be discussed and reported. Taking into account the loading density of the composites in the burn tubes, good agreement between experimental and calculated burn rates is observed. Resume : Silicon wire (SiW) supported three-dimensional MnO2/Al/fluorocarbon core/shell nanoenergetic arrays are prepared and investigated. Silicon wires are first prepared as the scaffolds by maskless deep reactive ion etching of silicon wafer, which is followed by the hydrothermal growth of MnO2. Al and fluorocarbon are then deposited sequentially around the SiW/MnO2 arrays by magnetron sputtering to realize the core/shell nanoenergetic composite. 3D upright aligned core/shell structure with an intimate contact between MnO2 and Al is confirmed from the morphological characterization. Superhydrophobicity is achieved after fluorocarbon deposition as Al layer acquires the nano-texture from the underlying SiWs/MnO2 arrays. Besides the increased specific surface area benefited from 3D structures, the superhydrophobicity enables the SiWs/MnO2/Al/fluorocarbon to preserve the chemical energy well after long-term storage, as the nanoenergetic composite shows no decay of energy density after 9 months of storage, indicating potential applications in nanoenergetics-on-a-chip when long-term storage is needed. Resume : Nano-explosives have more complete explosion energy output, higher sensitivity to short-duration pulse shock initiation, smaller critical diameter, higher stability and its detonation velocity is also much higher. In this work, the initiation performance of nano-TATB was studied by the loading technique of electrical explosion of metallic foil driving the polyester film flyer to produce short-duration pulse shock wave. The spherical TATB grains with the grain size is about 70nm and BET is 15.6m2/g. The shock initiation characteristics of nano-TATB explosive with different densities were studied. Compared to raw-TATB, nano-TATB shows high sensitivity to short-duration pulse shock initiation. The shock initiation voltage of the nano-TATB under the condition of 50% initiation probability and effects of density changes on short-duration pulse shock initiation characteristics were obtained according to the Langglie Statistical Methods. As densities of the nano-TATB changed from 1.74g/cm3 to 1.56g/cm3, the shock initiation threshold voltage decreased from 13.87kv to 7.72kv. Nano-TATB has high surface area and pores leading to from more hot-spot and chemical reaction. Moreover, with decreasing density, the amount of cracks or spaces in general the porosity increases, which will act as a hot-spot and lead to an initiation of the explosive. Therefore, nano-TATB shows high sensitivity towards shock initiation and increases with decreasing mean density. By means of the diagnostic technique of Doppler Pins System, the velocity of flyer and the shock initiation pressure were considered. Furthermore, the effects of bridge size, thickness of flyer and the loading pulse width on initiation of nano-TATB pellets were obtained. Resume : The propensity of sputter-deposited Al/Pt multilayers to undergo rapid, self-propagating formation reactions has been evaluated across broad ranges of stoichiometry and reactant layer thickness. Experiments demonstrate self-propagating, high temperature reactions in ~1.6 ?m-thick Al/Pt multilayers when the molar ratio of reactants is in the range of 4Al:1Pt to 1Al:4Pt (includes specified limits). High-speed videography shows that equimolar Al/Pt multilayers undergo the most rapid reactions with wavefront speeds as large as 80 m/s. Al- and Pt-rich multilayers react at reduced rates with speeds as low as 1 m/s. Nearly all of the tested multilayers undergo stable, propagating reactions characterized by a smooth, reaction wavefront morphology. Only multilayers made with a 1Al:4Pt molar ratio and large bilayer thickness (800 nm) exhibit a 2-D (spin-like) instability. A previously-developed, analytical method was utilized to further investigate exothermic Al-Pt multilayers and their transport properties that underly propagating reactions. Models that account for layer thicknesses, compositional profiles about interfaces, flame temperatures, heats of reaction, and estimated adiabatic temperatures were used to predict wavefront speeds that closely match measured values. This demonstrates that the analytical model can be extended to study a wide range of stoichiometry for a given bimetallic system. This work was supported by a Sandia Laboratory Directed Research and Development (LDRD) program. Sandia National Laboratories is a multi-mission laboratory managed and operated by Sandia Corporation, a wholly owned subsidiary of Lockheed Martin Company, for the United States Department of Energy?s National Nuclear Security Administration under Contract DE-AC04-94AL85000. Resume : Atomic force microscope (AFM) is a versatile and powerful method that not only used sharp tips to image the topography of solid surfaces at high resolution. It can also measure force-versus-distance curves to provide valuable information on local material properties such as adhesion, chemical identification, surface charge densities et al. To better understand the adhibition properties of polymer bonded explosive (PBX), the modified tip technology was used to probe the adhesion force between different composition. A self-assembled monolayer method has been used to prepare molecularly modified tips include ?NH2, -OH, and -COOH. The adhesive interactions between modified tips functional groups and PBX explosive correlate directly with friction images patterned with surface composition in nanoscale. By monitoring the friction between a specifically factionalized tip and PBX explosive, the composition mapping can be produced and used to analysis the energetic crystal and polymer distribution. Moreover, the energetic crystal particle was attached on the tip to measure the direct interaction between energetic material and polymer by adhesion forces. These results suggest the need to measure nanoscale adhesion forces by way of better understand the interaction between different compositions in PBX explosive. Resume : The energy release effects of a type of PTFE based reactive materials (RMs), PTFE-Al and PTFE-Al-W, under high velocity impact were studied. The energy release of reactive material rod was initiated by high velocity impact at a plate array. The multi-step impact enhanced effect, and the impacting velocity enhanced effect of energy release were obtained in experiments. For a series of spaced plates, the destruction of plate is more and more grievous along the trajectory, and the over-pressure of air in the covered tank is very notable. And as the impact velocity of PTFE-Al-W rod increasing from about 1.4 km/s to 3.0 km/s, the spaced plates were damaged more seriously. Typically, the fourth plate went to pieces at 3.0 km/s impacting, while it was left just a small hole at 1.4 km/s impacting. Resume : In order to meet the growing needs for miniaturization and functionalization of the pyrotechnic industry, recent works have led to the development of the next generation of pyrotechnical systems and weapons. This work proposes a smart, autonomous and safe multipoint initiation system, based on the use of four electronically addressed pyroMEMS, each integrating a thin layer of nanothermites. The miniaturized pyrotechnical system consists in four interconnected modules: a mechanical safety unit, the ignition functionality, the intelligence and energy storage module. For each of them, a thorough research of the best technological solutions was conducted and three technological solutions were selected. The mechanical safety unit is simply made by the removal of a metallic screen prior the ignition sequence. The electrical energy is stored in a micro supercapacitor which gives the necessary power to ignite four pyroMEMS in sequence. The electronic is basedon one microcontroller able to address different switches and components to drive the different ignition sequences. The first experimental results confirm that the technical solutions are viable and also demonstrate the expected improved performance and integration capacity in comparison with existing pyrotechnical systems. Resume : Reactive multilayers are thin films composed of alterning thin layers of reactants which react exothermically during thermally induced intermixing. The reaction velocity can be manipulated by the composition and geometry of each layer. Current models consider the effect of the two constituents mixing via inter diffusion through a layer of the product. They have proven to be effective to predict the evolution of the self-propagating combustion reaction for binary systems, however they could not be rigorously applied to thermite multilayered systems which involve more complex elementary chemical processes. This work proposes an alternative approach to phenomenological models, able to account the complexity of the redox chemistry. We introduce a more explicit treatment of the various chemical reactions and mass transport taking place during intermixing to predict the front velocity as a function of the layers and interfaces composition and thicknesses and accounting for the thermal losses through the environment. This model combines the mass transport across the layers with the one-dimensional heat equation along the foil and can be easily generalizable to other thermite systems.The results show that for Al/CuO in reactant ratios 1:1, only a part of Al is consumed during the combustion process due to the relatively low boiling temperature of copper oxide leading the system to blow up prematurely. We also illustrate the major role of thermal loss in the flame propagation. Resume : In recent years, one-dimensional (1D) hetero-nanostructures have attracted great interest as versatile multifunctional building blocks due to their potential applications in electronics, photonic devices, solar cells, environment, chemical and biological sensors and novel catalysts. In these novel promising materials, because of their intrinsic n-type semiconductors with wide band gaps (3.37eV), large exciton binding energy (50mV), large piezoelectric constants and well-developed systhesis methods, ZnO nanorods (NRs) has been investigated as core materials. ZnO NRs with various shell nanomaterials are designed to effectively couple different properties and lead to new applications such as electronnic devices, chemical and biological sensors, energy catalysis and solar cells. The shell formation of copper oxide to vertically aligned ZnO NR arrays has been reported as an especially attractive platform for solar cells since it is a promising p-type semiconductor with narrow band gap energy and strong absorption in the solar spectrum. In the present work, by sequential hydrothermal growth of ZnO arrays and electrodeposition of Cu, large-scale vertically aligned ZnO/CuO core/shell nanorod arrays on glass substrate have been successfully synthesized without further heat treatment. Detailed characterizations on the sample morphologies, compositions, and microstructures were systematically carried out, which results disclose the growth behaviors of the ZnO/CuO nanorod. Because the deposited CuO is p-type and has narrow band gap properties, ZnO/CuO hetero-structured core/shell nanorod arrays exhibited a stable p-n juction property and good ability to absorb visible light. Proficient Synthesis highly crystallized Iridium dioxide, Nanorods disposed onto Ti. Resume : The synthesized nanorods are formed with the usage of controlled pH with further heating and planned calcination. Highly grown nanorods are placed onto an evenly distributed form of Ti fiber as a base. The morphology and crystal structure of the samples were carefully characterized with field emission scanning electron microscope (FE-SEM), energy dispersive spectroscopy (EDS), X-ray diffraction (XRD) Raman spectra and transmission electron microscopy (TEM). Results demonstrate that highly sufficient nanorods with base as Ti fiber can anticipate on electrochemical catalysts experiments. Resume : The experimental data of initiation by the shock wave of chemical reaction in mechanoactivated mixture Al+CuO are described. Starting powders had mixed in stoichiometric ratio and had subjected to mechanical activation in a ball mill (activation time from 2 to 20 min). Then mixture was compacted into the tablets 8 mm in dia. The initiation of chemical reaction by shock impact had carried out inside the steel tube through the steel piston by HE charge detonation. Explosive charges had a mass of 1 g with density of 1.15 g/c? in all cases. The masses ratio of the explosive charge, of the piston and of the tablet were kept as 1:1:1 always. Experiments have allowed to establish that shock load and the subsequent unloading are causing dispersion of the tablet on reacting and non-reacting clusters. Random distribution by mass of clusters sets for them the different velocities that leads to formation of an expanding stream of the accelerated clusters. Expansion in the longitudinal direction occurs with an initial velocity of 800 m/s. Diametric expansion of area occurs due to the stream body side-unload with a velocity of 200 m/s. A relay-race initiation transfer of reaction inside non-reacting flying clusters determines the duration of tablet material combustion about 5 ms. Measurements of conductivity in the illumination area and analysis of traces on obstacles have shown the presence of rarefied plasma of reaction products along with a plenty macro-, micro- and nano-particles. High energy ball milling, an alternative technique to produce aluminum nanoflakes integrated in rocket propellants. Resume : This study aims to propose a new process for the synthesis of aluminum nanopowders that can be used in propellant for solid and hybrid propulsion. Previous results show that high-energy mechanical milling provides reactive aluminum nanoflakes . Different milling parameters such as milling media (size of the balls and bowls), process control agent, milling additive and atmosphere inside the bowl, were modified to investigate their influence on the reactivity of the obtained powders. Thermo-Gravimetric Analyses in the presence of air have been performed to assess the reactivity of every sample. Based on the stepwise oxidation of aluminum powders , criteria have been established to compare the reactivity of each sample and select the most reactive ones. In parallel, the morphology was analyzed using nitrogen adsorption isotherms and Scanning Electron Microscopy. The microstructure of the most reactive powders was also studied using Transmission Electron Microscopy, Energy Filtered-TEM and X-Ray Diffraction. According to these characteristic, the best samples were produced in large amount and successfully integrated in solid and hybrid propellant formulation. The results of engine propulsion tests will be presented. B. André; M.V. Coulet; P.H. Esposito; B. Rufino; R. Denoyel; High-energy ball milling to enhance the reactivity of aluminum nanopowders, Material Letter (2013), 108?110. M.A. Trunov; M. Schoenitz; E.L. Dreizin; Effect of polymorphic phase transformations in alumina layer on ignition of aluminium particles, Combustion Theory and Modelling (2006), 603?623 Acknowledgments : AgenceNationale de la Recherche (ANR) and Direction Générale des Armées (DGA) are acknowledged for financial support (Grant No ANR-13-ASTR-0032). DGA and Aix-Marseille Université are acknowledged for co-funding the PhD Grant of PH Esposito. Resume : The carbon fiber-reinforced plastic (CFRP) is a promising material for aerospace and automotive industries as a high-strength material having desired light-weight. In The CFRP, carbon fibers are embedded in polymer matrix as reinforcement, which provides the strength and polymer matrix bind the carbon fibers to distribute force evenly. So far the CFRP has been consisted of mainly thermoset polymer like epoxy resin. But thermoset CFRP requires time-consuming curing process which concludes long manufacturing cycle time and high cost of the product. On the other hand, a thermoplastic CFRP does not require the curing process and also can be welded or recycled upon melting. Despite the advantages of the thermoplastic CFRP, it is hard to produce with existing resin transfer molding (RTM) process, owing to the high viscosity of thermoplastic polymer. Therefore, reactive processing has been suggested, where the low viscosity monomer melts instead of polymer melts are injected into carbon fiber fabrics, and following in-situ polymerization enables to produce the thermoplastic CFRP. In this study, we developed the reactive processing system for carbon fiber-reinforced polyamide-6 (PA-6) composites. The in-situ anionic ring-opening polymerization of ?-caprolactam was utilized for PA-6 matrix. The properties of PA-6 polymer matrix, mechanical properties, and impregnation and interfacial interaction of the CFRP are investigated. Resume : Over the last two decades, DNA nanotechnologies have progressed considerably to become a mainstream approach for the nanoscale organization of matter. One such approach consists of directing the formation of well-controlled 2-D or 3-D architectures based on colloids of interest using DNA hybridization as a molecular cement. While most of the literature concerns the assembly of gold nanoparticles, we have recently demonstrated the first DNA-directed synthesis of energetic composite, based on Al and CuO nanoparticles. It has been now widely demonstrated that at the nanoscale, the reactivity of conventional Al/CuO nanocomposites is significantly enhanced but depends on the organization, density, and dimensions of particles, which largely influence their combustion kinetics and overall thermal properties. In this communication, we will report on the main issues of performing the DNA-directed assembly of Al/CuO nanoparticles, with roughly 150 nm in diameter. We will highlight the role of surface chemistry and DNA sequence choice to optimize the hybridization efficiency during self assembling. Aspects such as salt concentration, sonication, incubation time, and DNA length will also be discussed. From these data, a selection of structures are characterized, and compared in their thermal properties performances. Resume : Triboelectric nanogenerator (TENG) is an emerging energy harvesting technology for potential charging solution of portable and wearable electronics. In previous studies, the designs of TENG have limitations to be used in portable applications due to the required size for contact-separation motion. In this work, we demonstrate portable self-retracting TENG (PSR-TENG) that can harvest mechanical energy through extraction and retraction process. PSR-TENG is mainly composed of 3 elements: nanostructured Polytetrafluoroethylene (PTFE) sheet, spiral spring, and electrode. The nanostructured PTFE sheet surface was created by simple stretching process which can broaden the fabrication and practical application of PTFE. When the device is extracted by input energy, the nanostructured PTFE sheet rolled inside the cylinder casing is self-retracted due to the potential energy stored by spiral spring causing stacking and flutter motion. The combination of stacking and fluttering motion during the extraction and retraction process generates multiple power peaks in a single input. Furthermore, the output of PSR-TENG is maximized by the nanostructure created on the PTFE surface due to increase of surface area. By analyzing the motion of sheet dielectric and controlling the size dimensions of casing cylinder, the stacking and fluttering motion is maximized. Finally, for portable applications of PSR-TENG, we introduce pen-type TENG that have integrated PSR-TENG inside a hollow space of pen casing. The portable pen-type TENG was able to light up commercial LED arrays and LCD screen instantaneously. This study is potential solution for developing high power TENG, and utilizing TENG for stand-alone portable energy generator. Resume : The manufacturing and utilization of diverse graphene-based devices are restricted by graphene's bandgap zone. Managing the graphene lattice by creating artificial alignment with laser technics can redirect the electron motion from one dimension to a junction-like structure and, consequently, adjust the device nature, from zero-gap conductor to semiconductor. Except for transport properties of graphene-based devices, laser patterning will impact on the specific surface area of graphene providing a higher capacity of devices. Besides, created super periodic potential and arising of active external/inner/edge surface centers are determine the multifunctionality of graphene surface and corresponding devices. Among known patterning techniques, a new laser-based method, nonlinear laser lithography (NLL), is considered as a low-cost, single-step and high-speed nanofabrication process. It allows obtaining patterned graphene structure without under-etching and contamination from the contacting masks. From a physics point of view, the NLL technique is based on nonlinear feedbacks between the surface being processed and the processing laser beam, involving self-organization mechanisms which are responsible for long range, highly regular pattern formation. Here we report on the first implementation of NLL technique for multilayer graphene structuring. The regularly patterned multilayer graphene is obtained by CVD-method on NLL structured Ni foil. The NLL structuring is performed on commercially available foil, without preliminary polishing, cleaning or other preparation steps. After the CVD process, the graphene is transferred onto the polymer substrate for characterizations and device applications. In conclusion, we have shown a great promise of fabricated devices, namely supercapacitor and Li-ion battery (which simultaneously works as an electrochromic device) by using NLL assisted graphene nanopatterning. We anticipate our approach as a new avenue to patterned graphene for multifunctional device engineering in photonics and bioelectronics. Resume : Previous density functional dispersion correction methods lead to an unphysical description of metallic systems, as exemplified by alkali and alkaline earth compounds. We demonstrate that it is possible to remedy this limitation by including screening effects into the form of interacting smeared-out dipoles in the many body expansion of the interaction. Our new approach, called the coupled fluctuating smeared dipole model , describes equally well noncovalent systems, such as molecular pairs and crystals, and metallic systems, paving the way for a universal method to describe compounds with diverse type of interactions. W. J. Kim, M. Kim, E. K. Lee, S. Lebègue, H. Kim, J. Phys. Chem. Lett. 2016, 7 (16), 3278-3283. Resume : Nano-Fe2O3 particles are one of the most effective additives to improve thermal decomposition of ammonium perchlorate (AP). Addition of nano-Fe2O3 is known to remarkably lower the decomposition temperature of AP and to increase heat release. However, nano-Fe2O3 particles are prone to aggregate because of their high surface area, which impairs dispersibility. In the present work, the nano-Fe2O3/Al/AP composites, which are a kind of ternary thermites considered as a competitive candidate in the field of micro-propellants, were successfully prepared by crystallization/agglomeration (C/A) process. Through analyzing TG curves of the nano-Fe2O3/Al/AP and Al/AP composites, thermal decomposition of AP was characterized. As a result, it was found that the incorporation of nano-Fe2O3 particles into the Al/AP composites reduces the activation energy of AP at the first stage of decomposition, which leads to lowering the onset temperature, and the second stage of decomposition of AP was terminated at much lower temperature. Resume : Cellulose is the most abundant biopolymer in nature, which consists of chains of several hundred to thousands of D-glucose units connected by 훽-1,4-glycosidic linkages. Over the past decades, due to the increasing interest in sustainability and green chemistry, cellulosic materials have received much attention. The composites of cellulose having metal nanoparticles as the filler material form one group of such materials that find application in many fields especially in medical diagnostics to their light and multifunctional nature and low cost. However, preparation methods of cellulose-metal nanocomposites have some disadvantages because they are generally multistep, and non-environment friendly procedures due to their requirement for some hazardous chemicals to produce metal nanoparticles and to prevent them from aggregation. In this study, mechanochemical preparation of metal nanoparticles in cellulose matrix is investigated. The metal nanoparticles are formed from their metal ion precursors via a reduction assisted by the formed cellulose mechanoradicals – the free radicals that are formed by the homolytic bond-breaking of cellulose under mechanical input in a Cryomill. The formation of mechanoradicals and changes in the crystal structure are investigated by using UV-Vis Spectroscopy, electron spin resonance (ESR) spectroscopy, and Fourier transform infrared attenuated total reflectance (FTIR-ATR) spectroscopy, and the nature and sizes of formed nanoparticles is monitored by SEM and TEM, X-ray diffraction (XRD) analysis, and X-ray photoelectron spectroscopy (XPS). The results show that the nanoparticles are formed in the cellulose matrix without the need for any hazardous reducing agents (typically used for nanoparticle synthesis) and are retained well in the cellulose polymer matrix, without any need for a stabilizing agent. The study also covers the results of nanoalloy making by mechanochemistry and the formation of ‘triple nanocomposites’; namely cellulose-metal nanoparticle-synthetic polymer composites. Resume : Energetic material consisting of aluminum (Al) fuel coupled with two-dimensional (2D) molybdenum trioxide (MoO3) oxidizer was prepared by top down and bottom up processes. In the top-down approach, ?-MoO3flakes were fabricated and deposited onto mica using the Ambient Pressure Physical Vapor Deposition (APPVD) method and then transferred to a surface plasmon grating substrate via PDMS stamping method. The bottom-up process involves sonication treatment to exfoliate micron MoO3 flakes into MoO3 nanosheets with only 2-4 layers (1.5-2.8nm in thickness), which then are assembled to aluminum nanoparticles. Material assembly and composition are characterized using zeta potential, electron microscopy and atomic force microscopy. Energetic characterization is evaluated with DSC-TGA measurements, in addition to spark-ignited combustion speed and pressurization rate tests to evaluate the energetic reactivity. As the result, the reactivity of this material system has been significantly enhanced relative to a micro- and nanoscale MoO3 powder oxidizer. Compared to using bulk nanosheets, 2D MoO3/Al composite resulted in 100% improvement in combustion speed. Our TGA/DSC result indicates the majority of the reaction occurred in the solid state below the melting of Al having Al diffusion mechanism to react with 2D MoO3. Adiabatic reaction temperatures are sufficient to fully melt and recrystallize the reaction product in the form of nanowires and nanoparticles. Analysis of combusted products using electron microscopy and EDS indicates that Al nanoparticles and MoO3 undergo a morphological evolution with temperature that acts to discourage sintering of Al fuel particle. MoO3 layers prepared by top-down process were deposited on a plasmonic grating platform to increase coupling between the incident laser and the Al nanoparticles for enhanced heating. Raman spectroscopy is utilized for local temperature sensing, and study the in-situ reaction kinetics between MoO3 nanosheets and Al nanoparticles. These results indicate that combustion reactions are significantly enhanced through increased reactive surface area and intimacy afforded by exfoliated 2D oxidizers in energetic systems. Resume : Ammonium perchlorate (AP) is known as the most common oxidizer for composite solid propellants. A variety of catalysts have been investigated to decrease AP's temperature of high-temperature decomposition (HTD) and increase AP's specific heat release to anticipate a higher burning rate of these propellants, especially carbon materials with unique structures. Of late, 3D hierarchically ordered porous carbon (3D HOPC) is attractive for AP thermal decomposition due to its plentiful exposed catalytic sites, shortened diffusion paths and space-confining effect. Herein, 3D HOPC is first proposed as a catalyst for improving the thermal decomposition properties of AP via synthesizing nanostructured AP/HOPC composites. Through solvent dropping-evaporation dispersion process, AP is successfully space-confined into the porous carbon scaffold as nanocrystals, and the loading amount of AP can be controlled simply by varying the dropping time. Owing to the hierarchically ordered porous structure, high surface area and the confined AP nanocrystals, 3D HOPC shows excellent self-catalyst performance for AP thermal decomposition: lowering the HTD form 432 °C to 312 °C and increasing the heat release from 657 J/g to 3755 J/g. It can be foreseen that 3D HOPC is a superior catalyst for AP thermal decomposition, which conceptually provides a new insight for designing high-performance carbon-based catalysts for AP-based solid propellants. Resume : From catalysis to sensing, metal nanoparticles are the most commonly used and produced nanomaterials. There are basically two steps for formation of metal nanoparticles, as depicted in commonly utilized wet chemistry procedures: 1) Reduction of the metal ion, 2) stabilization of the formed nanoparticles e.g. against formation of larger agglomerates. For both steps, the preparation methods involve using of some hazardous chemicals. Especially in the latter step, these chemicals retain in the sample and hinder the function of the nanoparticle (catalytic activity etc.). In this presentation, we show a method to by-pass these commonly used hazardous chemicals and to form the nanoparticles in-situ by mechanical input. Once they are formed the nanoparticles are surrounded and stabilized by the polymer chains – also leaving out the widely used stabilizing agents. We display the similarities and differences in nanoparticle formation in different polymer media from elastomers, to thermoplastics and biopolymers, e.g. cellulose, and to commercial sticky tapes1, comparing the results obtained by SEM and TEM imaging, XRD analysis, and X-ray photoelectron spectroscopy (XPS). In the heart of the mechanochemical formation of metal nanoparticle-polymer composites lies the production of mechanoradicals,2 which can be produced via various mechanical input (room temperature mechanical squeezing to cryomill), and can be monitored by UV-Vis Spectroscopy, electron spin resonance spectroscopy (ESR), and FTIR-ATR spectroscopy. We finally verify the versatility of the mechanochemical method by showing the mechanochemical formation of the ‘nanoalloy’ composites and ‘triple nanocomposites’; namely cellulose-metal nanoparticle-synthetic polymer composites. 1) H. T. Baytekin, B. Baytekin, S. Huda, Z. Yavuz, B. A. Grzybowski, Mechanochemical activation and patterning of an adhesive surface toward nanoparticle deposition. J. Am. Chem. Soc. 137, 1726–1729 (2015). 2) H. T. Baytekin, B. Baytekin, B. A. Grzybowski, Mechanoradicals created in “polymeric sponges” drive reactions in aqueous media, Angew. Chem. Int. Ed 51, 3596-3600 (2012). Resume : 3D printing is a rapidly emerging technology involving the layer-by-layer deposition of material to produce practical objects. This technique has great potential for reactive materials, in that dynamic behavior may be controlled through the strategic placement of material into features within an engineered part. Direct ink writing (DIW) is an extrusion-based method of 3D printing, involving the room temperature extrusion of custom inks through a micronozzle. Since heating is not required, DIW is suitable for printing reactive materials such as pyrotechnics or thermites. Here we investigate the formulation of both aluminum and copper oxide based inks for the direct printing of thermite materials. Solids loading, surfactant concentration, and matrix solvent (aqueous and non-aqueous) are all critical with regard to establishing an ink capable of shear thinning, but also rapidly setting upon extrusion. Without the latter behavior, the ink would sag upon printing and will not yield quality parts. The formulation and rheological properties of DIW inks are reported. We demonstrate the ability of each material to be extruded for 3D printing and discuss several parameters important to the process. Additionally, the components are mixed with a custom mixing head for the direct printing of a thermite composite. This work was performed under the auspices of the U.S. Department of Energy by Lawrence Livermore National Laboratory under Contract DE-AC52-07NA27344. LLNL-ABS-717679.